If you wear glasses or have never experienced vision correction, you could almost get away with not ever having to see an eye specialist at all. ‘Almost’ being the operative word here. 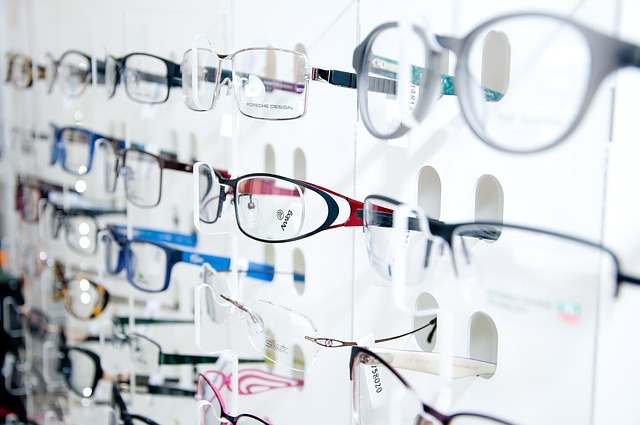 The truth is that a large number of people are skipping out on eye exams because they think they’re unsafe. Some of the other excuses they use include the specialist being too far away, large medical expenses and lack of insurance. According to findings from a study, there are 11,503 people over the age of 40 who suffered from mild to severe forms of visual impairment. This study also found that 39.8% patients admitted they didn’t seek care because of costs or lack of insurance. The remaining 4.5% gave the excuse that they couldn’t get an appointment. But by far the most common reason, with 43.8% participants, was that there was no ‘need’ for an eye test at all. While these results were taken from participants in the United States, the same behaviour can be observed in Australia too. With over 12 million Australians (over half of the population) reporting vision impairment to the Australian Bureau of Statistics 2011-12 National Health Survey, it becomes all too obvious getting regular checkups should no longer remain just an afterthought. Let’s discuss the four common symptoms that are a direct sign of future vision impairment. Blurry vision is a symptom of several health issues, most of which are not necessarily eye related. It is still recommended to start an investigation with your eye specialist. This becomes all the more important when you develop blurred vision that comes and goes or becomes limited to just one eye. Some of the common eye-related problems that cause blurry vision include macular degeneration, astigmatism, cataracts, keratoconus and open angle glaucoma. Disrupted visual can be defined as the total or partial obstruction of vision characterized by floaters and brief flashes of light. Floaters can appear as floating ‘spots’ on your peripheral vision, primarily due to condensation on the surface of the eye. These are fairly normal, but cannot be treated. If the underlying symptoms accompany pain at the same time, it could be sign of a larger problem and requires urgent investigation by your personal eye vision specialists. Discharge from the eye, bloated eyelids, frequently experiencing itchy eyes and getting pink hues over the whites of your eyes are common signs of an eye infection. Some of these infections are contagious require immediate visit to the eye specialist to prevent other people in your immediate vicinity. It is completely normal for people to suffer from eye problems that don’t go away. This effect becomes more pronounced especially late at night, during allergy seasons or if the patient has contracted a cold or flu. If the eye pain continues to persist, it could be a sign that there is a larger issue altogether. You may even find it difficult to move your eyes altogether. This calls for a visit to the eye specialist before the problem becomes worse with time. With so many instances of Australians running into problems with their vision, it is definitely worth getting regular checkups with a trained eye vision specialist.